This is One Gift Dad Will Cherish Forever! Father's Day is just around the corner, and many of us are searching for the perfect gift for Dear Old Dad to show him how much we love and appreciate him. You want something personal, so he knows you're thinking of him, as well as something that will make his life better and that he'll use frequently. With so many Dads enjoying cooking out during the summertime, buying some snazzy, shiny new grilling tools is always a good choice. Think how much more he'll enjoy grilling when he has all the tools he needs to do it skillfully and efficiently! 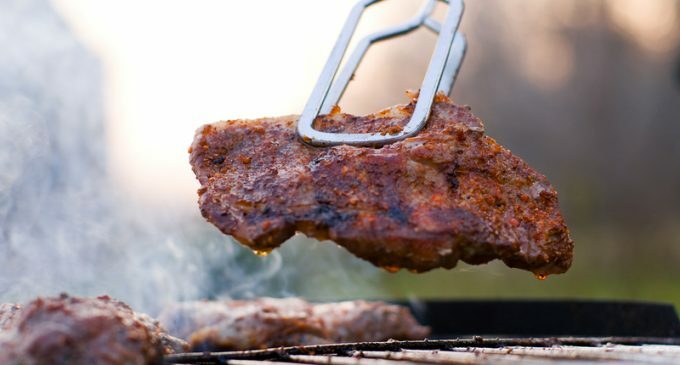 But if you've visited your neighborhood hardware store or visited a kitchen store lately, you've probably noticed that there are more kinds of grilling tools than ever, and some are pretty fancy, making them hard to resist. After all, something with all the bells and whistles must be a good deal, right? Well, not necessarily. In fact, Elizabeth Karmel, founder of Girls at the Grill, recently revealed her list of the tools you do and don't need…and we were surprised by her recommendations! To learn which grilling tools would make great Father's Day gifts, please continue to Page (2) for the full list.